April is Math Month! Celebrate at Explora! Each morning, April 15- 21, Explora staff will hide eggs throughout Explora. 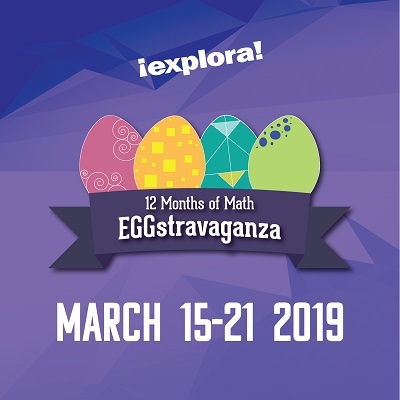 Hunt for eggs that contain a math riddle or quiz, and a coupon or treat from Ideas, the Store at Explora! LIMIT: One egg per child, please. This activity is offered at no extra charge for Explora visitors.